They're here! 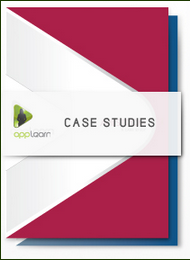 A fantastic series of case studies from AppLearn. Focussing on the use of innovative communications and training, AppLearn shows how global companies have increased the user adoption of their systems and the engagement of their employees. Find out what's been achieved by Bombardier, Mercer, GoldCorp, Ahlstrom and Hudbay.